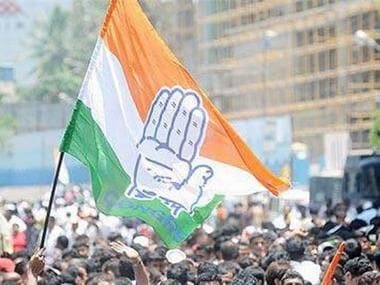 New Delhi: The Congress on Wednesday accused the Modi government of "manipulating" GDP data of previous years and said it reflects a desperate attempt to undermine India's growth story over the last 15 years. Congress chief spokesperson Randeep Surjewala termed the step a "classic" case where "the operation is successful but the patient is dead". "The entire GDP back series data released today reflects the desperate attempt of a defeatist Modi Government to undermine India's growth story over last 15 years. Modi Government and its puppet Niti Aayog want the people to believe that 2+2=8. "Such is the gimmickry, jugglery, trickery and chicanery being sold as 'back series data'," he said in a statement. There was no immediate reaction from the BJP on the Congress's claims and allegations. The Congress leader said the economic mismanagement under the Modi government has led to economic anarchy and jugglery of GDP figures. "Manipulated 'back series data' will not change Modi government's 'exit date'. (Prime Minister Narendra) Modiji's new definition of GDP is 'Gimmickry Data Product'," he said. Surjewala alleged a failed "Modinomics plus a Pakoda economic vision" has put India's economy in complete turmoil, and the prime minister and his finance minister have caused economic "mayhem" by the "ill-conceived" decisions of demonetisation, a "flawed" GST coupled with "tax terrorism". "Faced with utter and complete rejection of the 'voodoo economics' of the Modi-Jaitley duo, they are resorting to malicious and fraudulent jugglery of GDP figures to hide the enormous body blow caused by them to India's economy," he said. Surjewala alleged that since the advent of the NDA government in May 2014, there has been a determined effort to run down the record of the two UPA governments under Manmohan Singh during 2004-2009 and 2009-2014. A lot of confusion was sown and the Modi government added to the confusion by changing the base year from 2004-05 to 2011-12, he said. 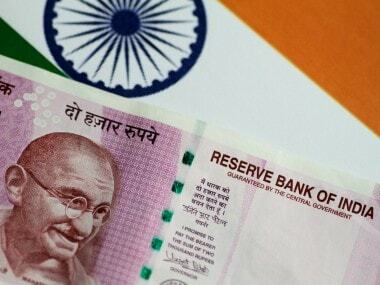 "We had demanded that the back series data of GVA and GDP should be calculated and released so that meaningful comparisons can be made," he said, adding that the back series data as released by National Statistical Commission (NSC) in August 2018 is available in public domain and numbers prove that the truth cannot be suppressed. 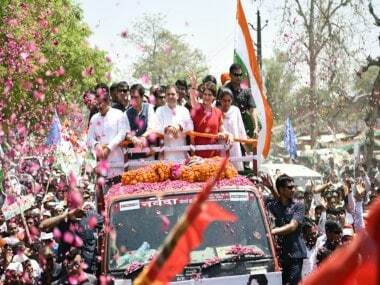 The Opposition leader claimed that UPA-1 and UPA-2 delivered the highest decadal growth of 8.13 percent at factor cost since Independence and during this period 140 million people were lifted out of poverty. When the UPA demitted office, economic growth had recovered to 6.39 percent at market prices in 2013-14. Besides, the fiscal deficit had been reduced to 4.48 percent and the current account deficit contained at 1.7 percent, he claimed. 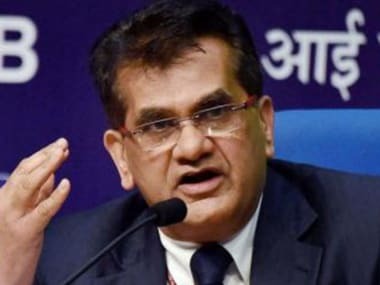 "The revised 'New Series' computed today by the Ministry of Statistics and Niti Aayog has completely undermined the NSC (National Statistical Commission), the autonomous body for deciding data transparently and in accordance with global standards of calculating GDP as per Market Price Linked Methodology. "Today, the Modi government deceived the country by surreptitiously changing the methodology in order to manipulate GDP data. This is called 'Excel Sheet Management' i.e deciding the result first and filling the marks later. The new methodology is GVA-based, which does not take into account tax+ subsidies and consequently is extremely flawed to sub serve the myopic interests of the Modi government," he said. 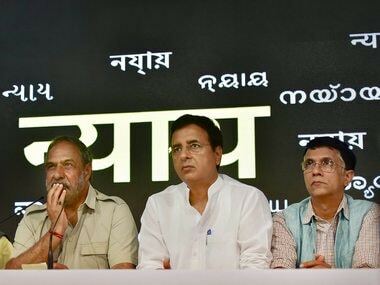 Surjewala alleged that under this government, there has been complete stagnation in investment and the Gross Fixed Capital Formation in the last three years has remained constant at 28.5 percent. "At that level of investment (GFCF), it is not possible to achieve higher growth rates," he said. The government Wednesday lowered the country's economic growth rate during the previous Congress-led UPA regime, shaving off over one percentage point from the only year when India posted double-digit GDP growth post liberalisation and from each of the three years with 9-plus percent expansion. Recalibrating data of past years using 2011-12 as the base year instead of 2004-05, the Central Statistics Office (CSO) estimated that India's GDP grew by 8.5 percent in the financial year 2010-11 (April 2010 to March 2011) and not at 10.3 percent as previously estimated. Similarly, 9.3 percent growth rate each in 2005-06 and 2006-07 was lowered to 7.9 percent and 8.1 percent respectively, while 7.7 percent rate was now estimated for 2007-08 instead of 9.8 percent.